Item # 307327 Stash Points: 2,795 (?) This is the number of points you get in The Zumiez Stash for purchasing this item. Stash points are redeemable for exclusive rewards only available to Zumiez Stash members. To redeem your points check out the rewards catalog on thestash.zumiez.com. Complete your outfit with the OTW Distort hat from Vans. 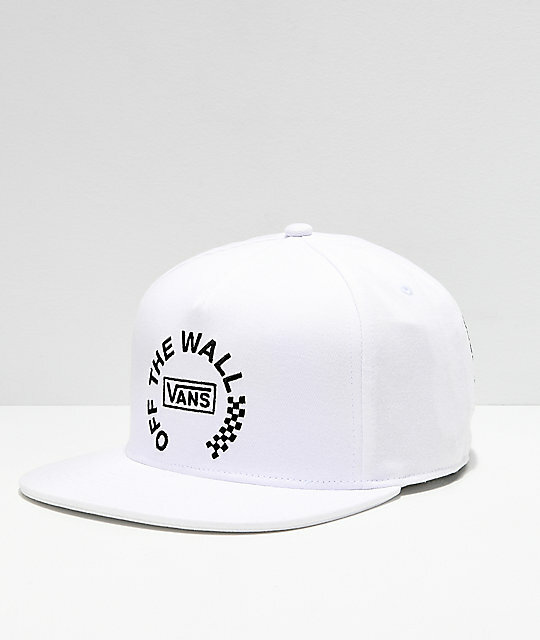 This mostly white hat features the classic Vans Off The Wall logo in black on the front crown, "The Original Since 1966" embroidered on the back panel, and hidden black checkers under the bill of the hat. This hat offers an adjustable strapback sizing piece with a clip closure for a great fit. 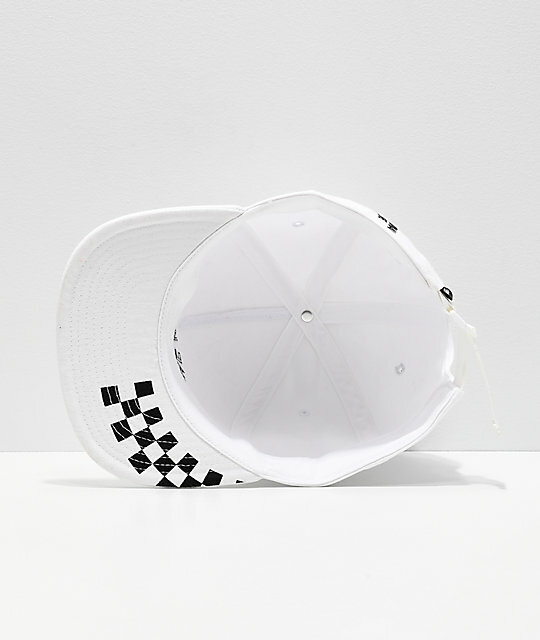 OTW Distort White Strapback Hat from Vans. Embroidered logo graphics on the front, back and under brim. Adjustable strapback sizing piece with a clip closure.